The Baby Bella was designed as a beginner pattern to introduce quilters to paper piecing. 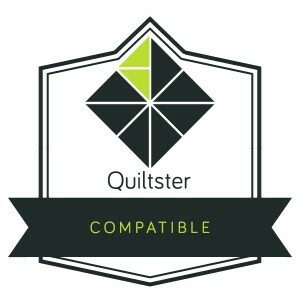 The project does take a little time and introduces quilters to several Quiltworx techniques, but all of the seams are straight, there are no Y-seams or curved seams, and the result is an adorable miniature lone star block for you to enjoy. The foundation papers for the Baby Bella were designed by Quiltworx. The instructions included herein describe the process of making quilt. Additional papers are available for purchase to increase the size of the pattern or make another quilt. You've added Baby Bella to your cart!